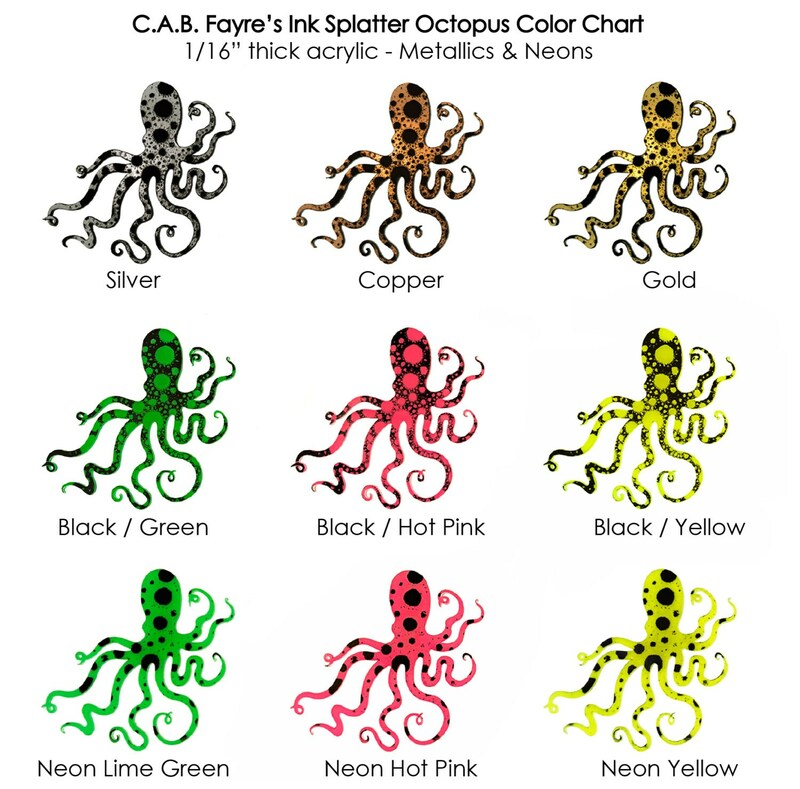 This ink splatter version of C.A.B. 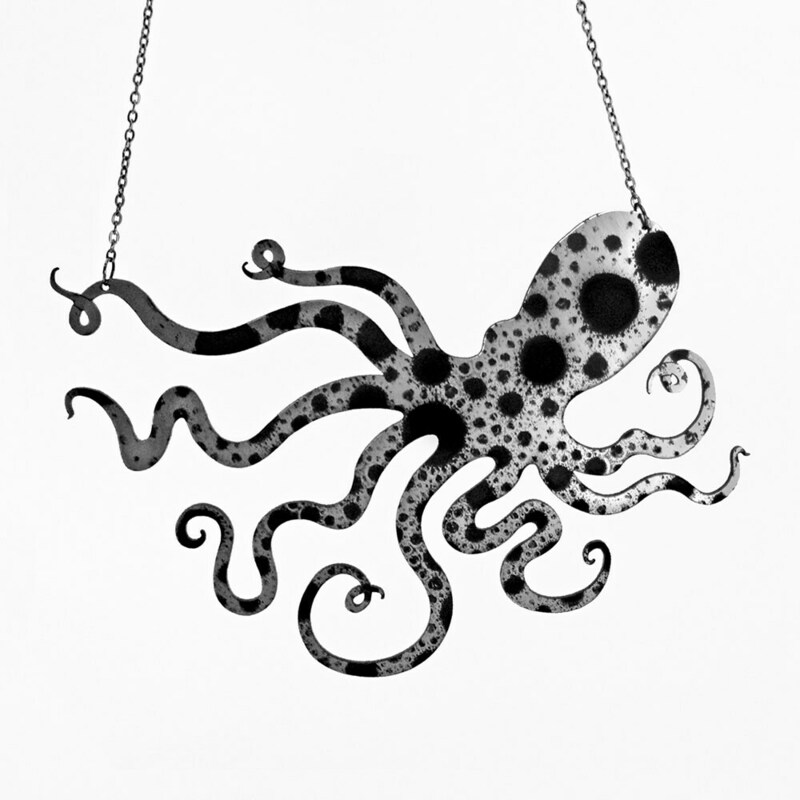 Fayre's Octopus adds some visual interest to our original octopus silhouette with an engraved ink splat pattern! 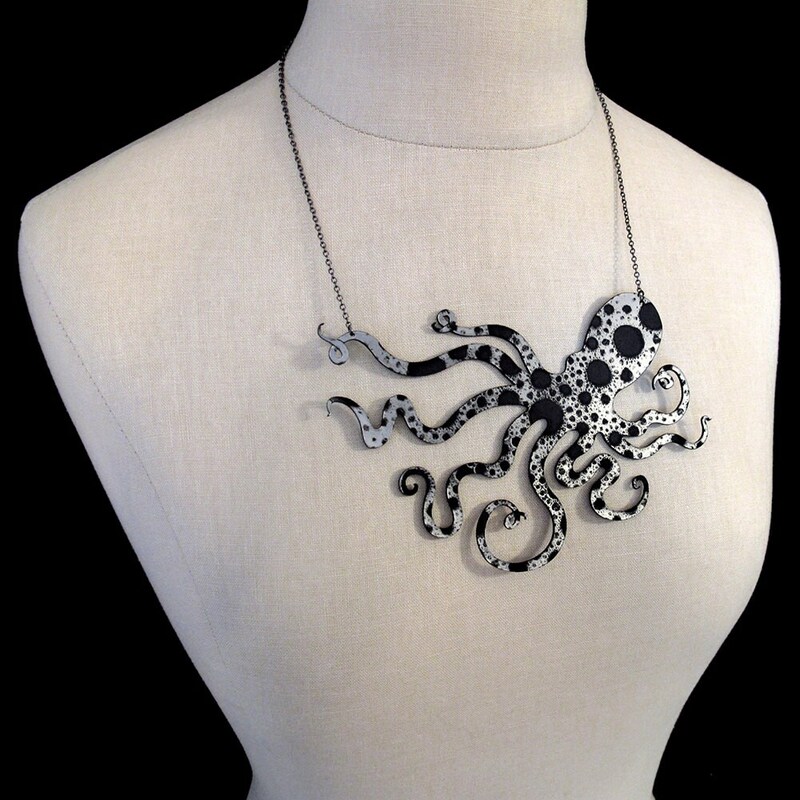 It's the perfect necklace to satisfy your love affair with these amazing 8 tentacled creatures! 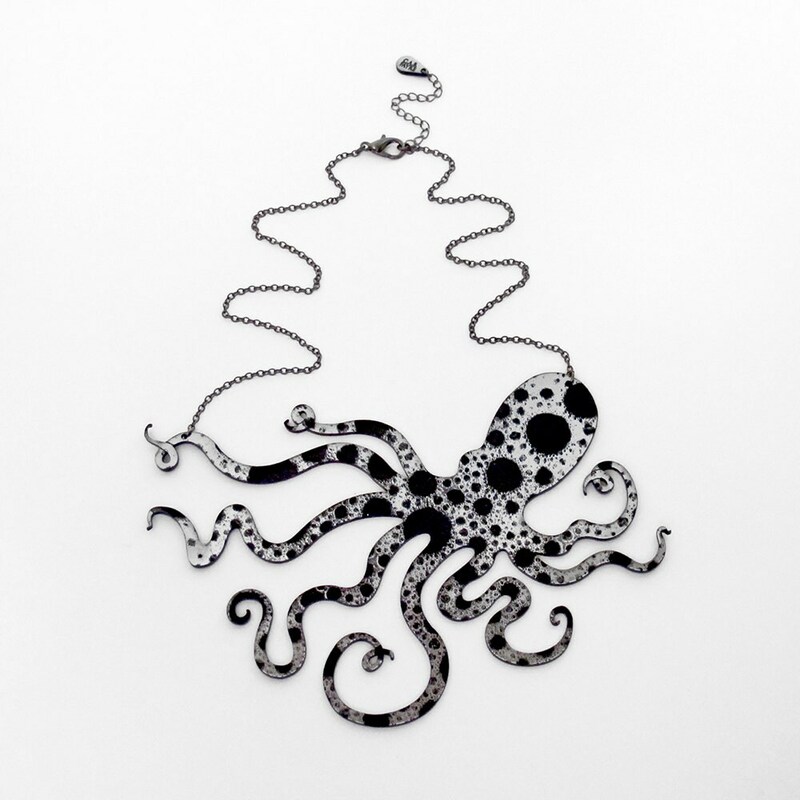 This Octopus is large at 6" so it is not recommended for those who like subtle things! 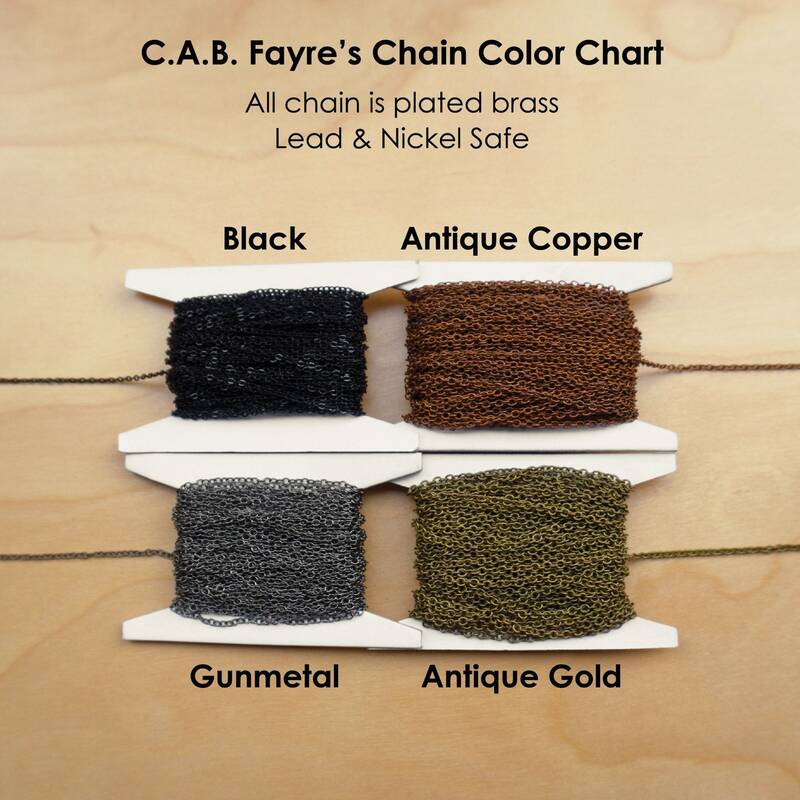 It definitely stands out and screams notice me! 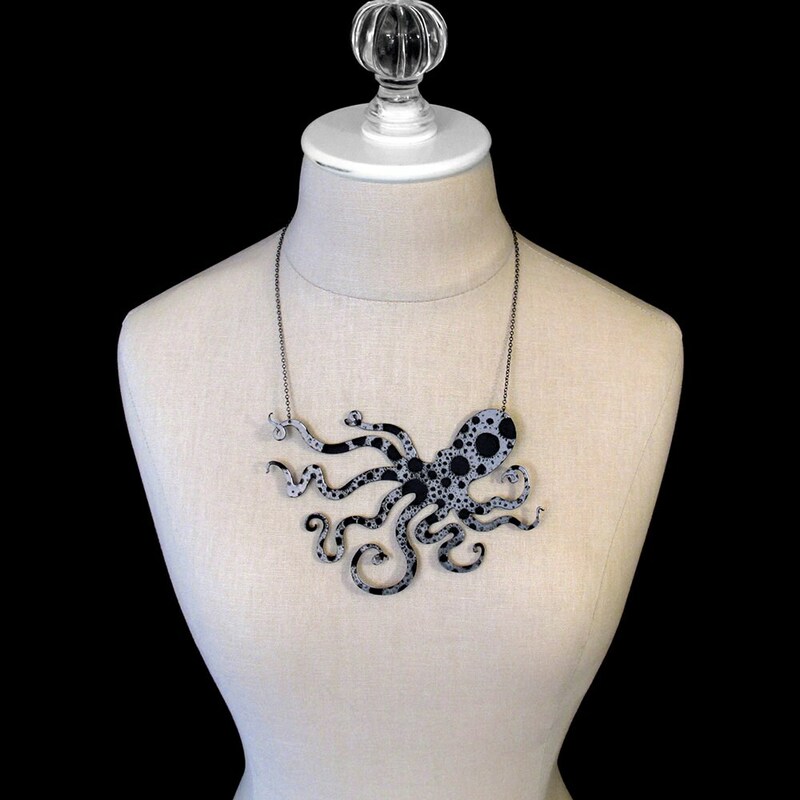 It is made of a thin 1/16" thick acrylic so despite it's large size it is very lightweight and comfortable to wear!